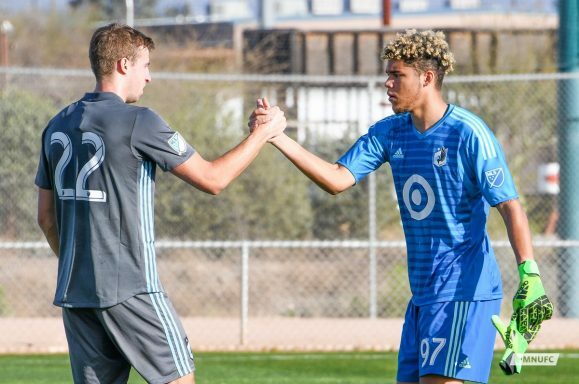 Technically the Loons have already kicked off their preseason, winning a 9-2 scrimmage against incoming USL League One squad FC Tucson. But Saturday’s match against Phoenix felt far more like the season kickoff. There was a stream. There was Cal Williams. There was a stronger opponent—USL Championship runners up Phoenix Rising. At last, a long offseason is melting away, and preseason has well and truly begun, for fans as well as players. Last year, I pledged to allow Minnesota United a fresh start, from players to coaches to front office. That didn’t go so well, as the Loons turned in a 2018 that was dispiritedly similar to the one before. This time around, I’m not hitting the reset button. This is the third year of the three year plan, and the theme is accountability. We’ve seen a lot of many of these players and we’ve seen a lot of this coaching staff. It’s well past time that we use what we’ve seen so far as the measuring stick with which we can judge improvement. In that vein, Saturday’s friendly was a decent start for the Minnesota, who minimized defensive mistakes in a way they did not even last preseason. But some of the worrying trends from the second half of 2018 were also evident in a sloppy, tired scoreless draw against Phoenix. From here on out, United play against MLS opposition, and the seriousness of these games and the amount we can glean from them will increase. 5. I hope Adrian Heath hasn’t already picked his opening day starters again. But I fear it. Last year, the Loons infamously played Francisco Calvo and Michael Boxall together in preseason from week one of camp. The result wasn’t increased cohesion and understanding—it was that the team was locked into a failing defensive combination for months before continued lapses eventually forced changes. Preseason is the time for experimentation. Familiarity is important, but is it not important to let players earn their spots? My concern stems from the similarities between the starters in Saturday’s friendly and midweek game against Tucson. Only two changes were made, one to accommodate newcomer Ike Opara (at the expense of Wyatt Omsberg) and one in goal, which is normal. But no changes were made in the attack, which I find confusing. Mason Toye and Romario Ibarra should be competing for starting spots, and should get minutes with the starting group to prove themselves. When the result of the game matters so little, and the regular season is still weeks away, I’m baffled as to why the Loons have stuck with an identical attacking corps. We’re just two games into the preseason, but this kind of rote decision making has happened before, and I’m on high alert for it again. 4. Set pieces will be a critical issue for Minnesota this year. On the live stream, Cal Williams mentioned twice that the Loons have made set pieces a special point of emphasis this offseason. That’s good to hear, because the Loons were among the worst clubs in the league last year in dead ball situations. Of course, on both occasions, the United player booted the ball into the wall, but that’s a matter of execution that should improve with more work. 3. In the first group, several players stood out, and they mostly were the ones you would hope for. Ján Greguš was reasonably sharp and active in midfield. He was perhaps a touch less ambitious than Minnesota will require during the regular season, but I liked to see his obvious calmness on the ball. 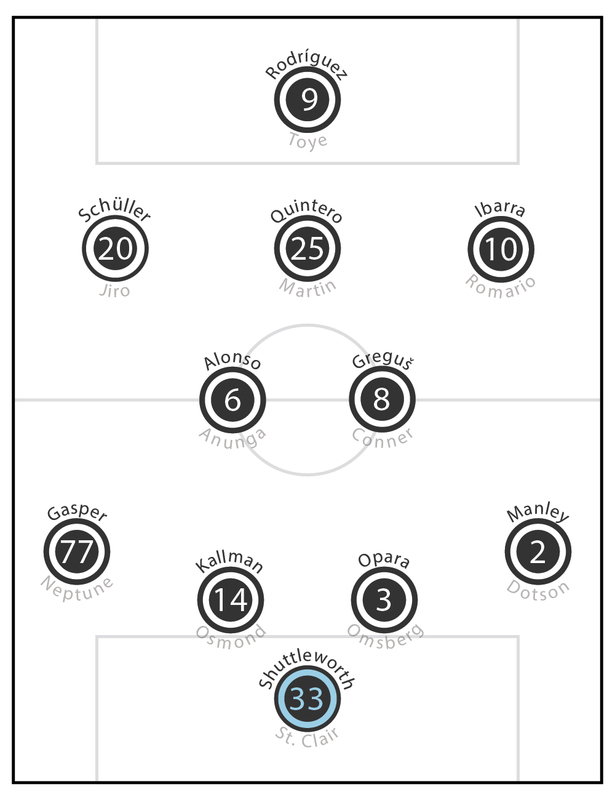 In defense, Ike Opara stood out. He put out a couple fires in defense, but was mostly notable for his distribution. He found Chase Gasper a couple times with long diagonal balls, and had a couple other smart passes through Phoenix’s lines. Speaking of Gasper, the (officially unsigned) rookie left back and his opposite number, sophomore Carter Manley, were very involved in the game. Adrian Heath loves to have his fullbacks overlapping while his wingers cut inside. In 2017 and 2018 the Loons started off playing this way, before their defensive liabilities forced a more conservative approach. But the third try might be the charm. Phoenix certainly were forced to mostly play out wide, and they were unable to break into a solidified Minnesota middle. Meanwhile Gasper and Manley held their own and got forward (although neither hit a useable cross). Romain Métanire will likely replace the latter when he arrives, but both young players made a positive impression. 2. In the second group, it was harder to make any serious conclusions. When the trialists and reserves of two teams meet, it’s probably not safe to say anything definitively. But after Minnesota’s reserve attackers lit up the scoresheet against Tucson, it was the defenders who had far more success against Phoenix. I liked the class on the ball from Drew Conner, who is about to turn 25 and last played with Chicago. He looked the part of an MLS professional, and should be an easy-call for the Loons front office as an affordable domestic depth player. I also had my eye on Tah Brian Anunga. Just 22 years-old, the Cameroonian has 57 games with the USL’s Charleston Battery, was named team MVP and to the league’s best eleven last season. He played as a center-back against Tucson, but was installed in his natural defensive midfield position on Saturday. Given his pedigree, you’d expect him to dominate a USL team’s reserves, and that’s exactly what he did. The Loons were untroubled by attacks through his area and he was tidy if conservative on the ball. I’m eager to see Anunga against Houston at midweek. He would make an interesting understudy for Ozzie Alonso, if signed. Two wrinkles: he seems to currently be signed with Charleston (it’s nice that they’re letting him trial), and he may not yet have a green card (he’s been playing in the US for four years, but I am not a lawyer). The final player who grabbed some attention was Mason Toye. We should remember that the Generation Adidas striker is just 20 years-old. He’s still growing as a player, and also maybe as a human being. He certainly looks bigger and stronger, and he used his physical ability to bully Phoenix’s defenders. He didn’t score (missing a free header that he rightly was frustrated to not put on goal), but he showed the makings of a multi-tooled striker who can chase down balls, hold them up, and combine. I’m hoping to see Toye get an opportunity to play with Darwin Quintero and Miguel Ibarra before the preseason is out. 1. Miscellaneous Notes. Minnesota next play against Houston on Wednesday. Then it’s probably back to Minnesota for a few days, including GIF making, headshots, and all of that stuff. Then the squad is off to Disney World for their three final preseason games… …Dayne St. Clair didn’t have a big save to make, but he seems very proactive on balls in his box, which is great to see… …Jameel Neptune hit the game’s only good cross. I’m not sure the Loons have space to accommodate him in terms of international spots, but you know I’m always going to advocate for signing young players… …Mitchell Osmond and Wyatt Omsberg actually had a Lamar Neagle, an MLS-level player, to handle in the second match. No problem though, they handled the task fine, and Omsberg gets a shoutout for playing on the wrong side and making a couple passes under pressure with his off foot… …A couple notable players in the first group did not look sharp on the ball, but that’ll come. One in particular really did not look sharp with his movement, and I’m more concerned about that, but will wait to see more… …Phoenix’s 21 year-old, 6′ 3″, Jamaican defensive midfielder, Kevon Lambert, is a good player. Surprised he is not trialing for an MLS club.